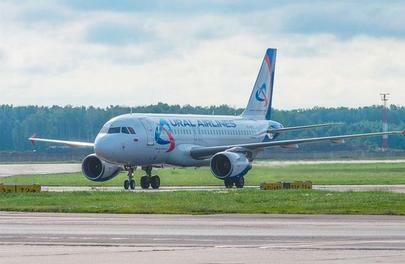 Ural Airlines has reported taking delivery of a narrow body Airbus A319. This is the first aircraft received by the operator since the beginning of 2016. Similarly to other aircraft of this type already operated by the Russian airline, the aircraft is a 134-seat version: it is equipped to carry 126 passengers in economy class and 8 passengers in business class. According to open sources, it will most likely be the aircraft with tail number VP-BBG and serial number 1579, which carried out its first flight in 2001 and was previously operated by the American low-cost carrier Frontier Airlines. The aircraft, which was ferried from Ireland, has been delivered to the Ural Airlines’ base in Yekaterinburg as a part of the airline’s fleet renewal program. It will be used on domestic and international routes and will carry out its first flight on a route from Yekaterinburg to Moscow. The aircraft is taken on operating lease from the Irish leasing company SMBC Aviation Capital. According to the lessor, it has handed over a total of five А319s to Ural Airlines. The carrier is currently operating seven А319s; the most recently delivered aircraft of this type was also received from SMBC Aviation Capital in March 2015. At present, the Ural Airlines’ fleet includes only narrow body aircraft from the А320 series taken on operating lease. Along with the least spacious А319s, the airline operates flights using 19 А320s and 10 А321s. The fleet renewal program, in the framework of which Ural Airlines receives new aircraft every year, was launched in 2006.